Internal Audit is an important value-added activity of the ISO standard implementation that evaluates how effectively the management system is implemented and helps in improving the processes of an organization. 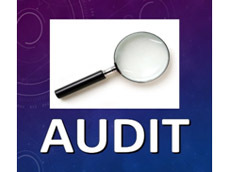 The Internal Audits can be conductedeffectively through trained Internal Auditors. Inzinc providesvalue-added ISO Internal Auditor training in India, whichfocuses on providing training to selected Internal Auditors to enable them to conduct audit as per the ISO standard. The objective of this course is to train professionals on becoming an internal auditing expert to help conduct effective audits as part of the ISO system that ensures sustenance and improvement of the management system. Who must attend the ISO Internal Auditor Course? Individuals who wish to enter into Auditing field. At the end of the ISO Internal Auditor training course, certificates will be issued to Internal Auditors who pass the test as per the test criteria. Faculty for ISO Internal Auditor Training: Experienced and qualified ISO Lead Auditor. Paves way to become effective internal auditors in your organisation and in your career. OHSAS 18001 Internal Auditor Training in Indiaand for other ISO Standards. We provide ISO Internal Auditor training in Bangalore (Bengaluru), Mumbai, New Delhi, Chennai, Kolkata, Hyderabad, Pune, Coimbatore, Nagpur, Mysore, Belgaum (Belagavi), Tumkur, Kolar, Tiptur, Kolar, Chitradurga, Davanagere, Hubli (Hubballi), Dharwad, Hospet, Bellary, Mangalore (Mangaluru), Thane, Surat, Bhopal, Rajkot, Jamnagar, Jaipur, Jodhpur, Chandigarh, Gurgaon, Noida, Raipur, Jamshedpur, Vishakapatnam, Ahmedabad, Kochi, Trivandrum, and other cities in India. ISO internal audit services Internal Audits hold prime importance in the measurement of the status of effectiveness of the Organization’s Management System. Inzinc Consulting India provides ISO Internal Audit Services where our ISO consultants in India who are qualified Lead Auditors effectively conducts the Internal Audits on behalf of our clients and reports on the Internal Audit Results and suggest the suitable corrections and/or corrective actions. We can conduct Internal Audit services based on the frequency that you have documented in the QMS Manual or EMS Manual or ISMS Manual. 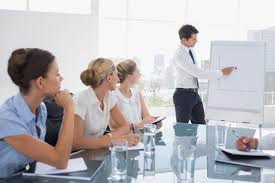 The training programs designed by us take care of today's customer requirements which are to establish and implement ISO standards in shortest period of time effectively and with cost economy. Our ISO Consultants in India have prepared good ISO awareness training presentation and we do have good ISO 9001 awareness training material and ppt, ISO 14001 general awareness training ppt and material, ISO 27001 security awareness training ppt. Our cohesive unit will ensure that we provide good quality ISO awareness training and ISO Internal auditor training in India. If you require information also about ISO Lead Auditor course in Bangalore, we can recommend good ISO lead auditor training organizations. The ISO 9001 awareness-training course in India aims to provide the basic knowledge and requirements of ISO 9001 and build the awareness among the personnel of the organization so that the requirements are understood well to document, establish, maintain, monitor and improve the various processes followed by the organization. Organizational personnel who need the basics of ISO 9001 that is necessary to implement the quality management system based on requirements specified in the ISO 9001 standard. Personnel who wish to complete advanced courses such as ISO 9001 Internal Auditor Training in India or ISO 9001 Lead Auditor training in India. Personnel who would like to have a refresher course on ISO 9001 Awareness. Personnel at all levels of the organization can attend ISO 9001 awareness training in India. Certificate shall be awarded to all the delegates who have participated in the ISO 9001 Awareness course. We provide ISO 9001 awareness training services in Bangalore (Bengaluru), Mumbai, New Delhi, Chennai, Kolkata, Hyderabad, Pune, Coimbatore, Nagpur, Mysore, Belgaum (Belagavi), Tumkur, Kolar, Tiptur, Kolar, Chitradurga, Davanagere, Hubli (Hubballi), Dharwad, Hospet, Bellary, Mangalore (Mangaluru), Thane, Surat, Bhopal, Rajkot, Jamnagar, Jaipur, Jodhpur, Chandigarh, Gurgaon, Noida, Raipur, Jamshedpur, Vishakapatnam, Ahmedabad, Kochi, Trivandrum, and other cities in India.